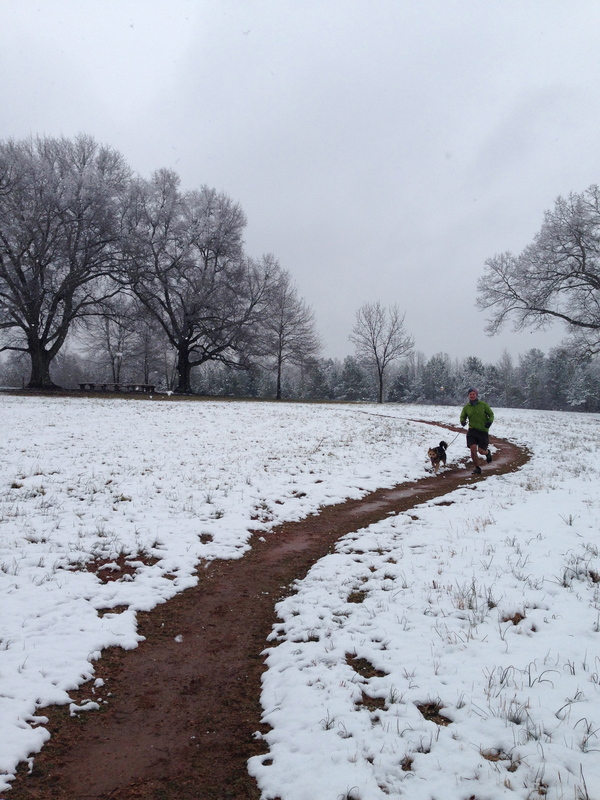 A snowy run is rare in the South, which definitely makes it feel more magical. Instead of sloshing through gray slush for 2-4 months straight, we get 1-3 short-lived blankets of shimmering whiteness that usually melt into a memory within 24 hours. We have to seize our winter wonderland moments and enjoy them to the fullest before they disappear. This year we enjoyed several snow runs, which we found very exciting. Our favorite occurred at Lake Conestee Nature Park. My husband and I were itching to get in a trail run before the the whole city was completely socked in with our four inches of snow. Unfortunately, businesses, schools, and as it turned out, state parks, were all shutting down in rapid succession. Conestee was the only trail area in close proximity that was still open, so we hurried over there to sneak in a run before getting “snowed in”. It was amazing! 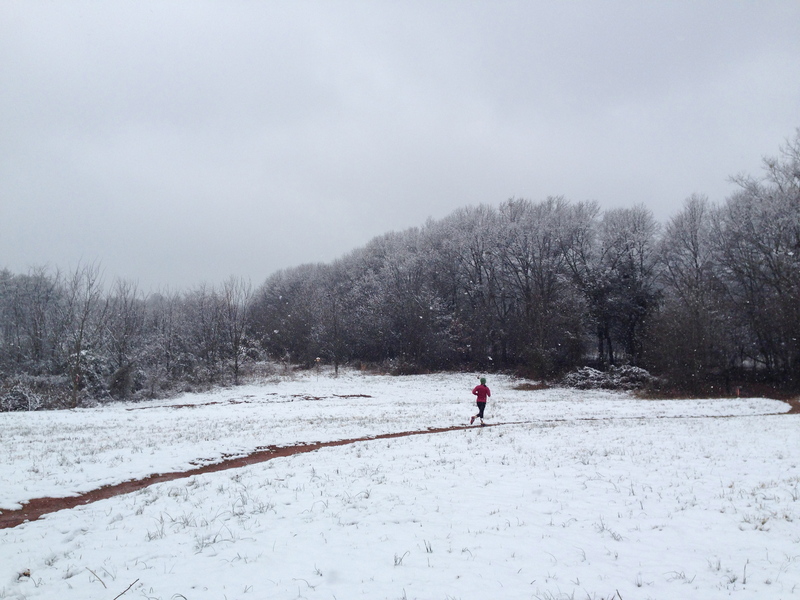 We didn’t run for long, but every moment was expanded by the novelty of padding through a transformed landscape. Lake Conestee Nature Park is a 400 acre area with 5 or 6 miles of trails that will one day connect to the longer section of Greenville’s Swamp Rabbit trail. What it lacks in expansiveness, it makes up for in charm and convenience. It’s a wonderful green space located about 10-15 minutes from downtown. The trails are well kept (and seem to be expanding? ), and there is a great playground/picnic area beside a very pleasant restroom facility. My husband and I have participated in multiple races here including Half Moon Outfitter’s Drifter 6k, an annual favorite. It’s a great venue for races with ample parking and plenty of nice space for post-race refreshments. During this run, we attempted to retrace the race course since some of the markers were still in place from the previous weekend. 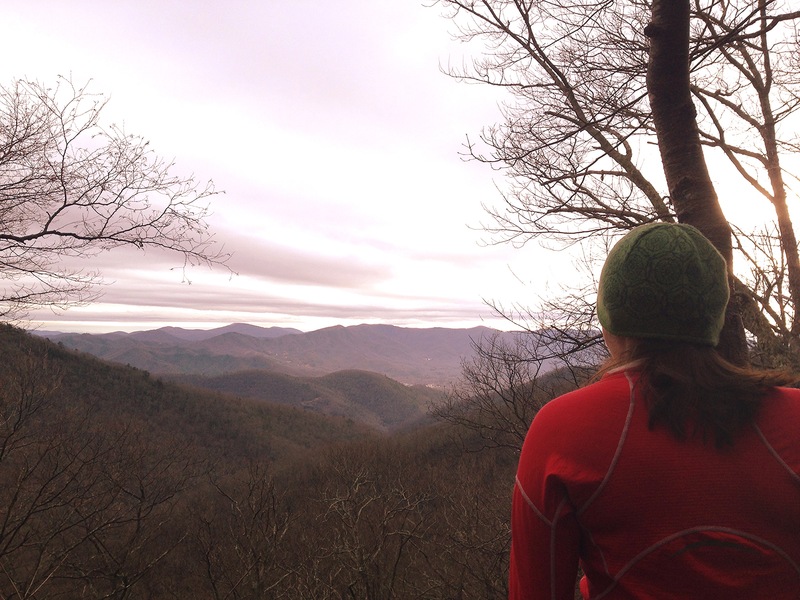 Rather than vaguely describe what we attempted to do without directions in hand, I am posting this link to the Half Moon Outfitter’s 6k race course. If you’re looking for a shorter trail run near Greenville, this is a great option, and you can always double it for a longer workout. Here is a link to Conestee’s website as well. Recommendations: Trail specific shoes are always nice for trail running, but you could definitely get away with road shoes on this relatively smooth and at times paved trail. Bring the family and a picnic! This whole area is so nice. We paddled Lake Oolenoy on Christmas Eve. It was a spontaneous plan that unfolded when Lake Robinson, a lovely 800 acre lake near our home, was closed. We had already loaded our boats up and driven 20 whole minutes when we realized this, and it felt too disappointing and lame to just turn back after making such an effort on Christmas Eve. Instead of admitting defeat, we opted to tack on 30 minutes and push our way up to Lake Oolenoy. I have to admit, I was a little critical of poor Lake Oolenoy before I actually went there. It has the misfortune of being on our route to Lake Joccassee, one of the most gorgeous, epic places in South Carolina. 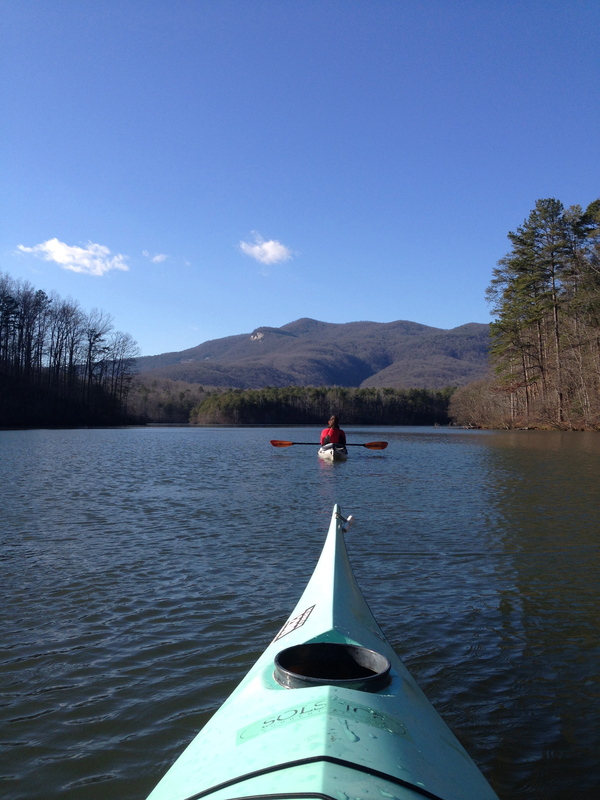 No matter how pleasant Lake Oolenoy might be, I could not imagine it being as grand and stunning as Lake Joccassee. 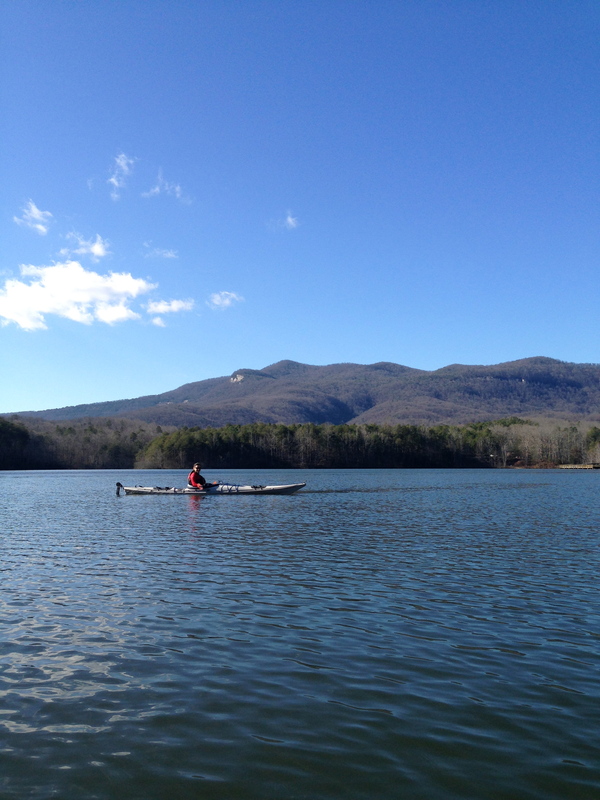 This means that if we plan out a paddling adventure of any consequence, we are almost always willing to drive the extra 30-45 minutes required to bypass Lake Oolenoy and arrive at our beloved Jocassee. However, this Christmas Eve our time frame required as little extra driving time as possible and a relatively short paddle when we got to our destination. Lake Oolenoy ended up being a perfect solution. At less than an hour from Greenville, it is easy to get to and with only 67 acres to its name it is perfect for a short exploration. The lake is very pretty, undeveloped, and clean with remarkable views of Table Rock and Pinnacle Mountain. It’s a great little spot to explore and there are nice picnic areas and bathrooms available by the boat ramp access point. We would definitely come back, and perhaps try taking out a SUP. Paddle this Lake: If you’re coming from Greenville, you will pass the main entrance to Table Rock State Park on your right before crossing the bridge over Lake Oolenoy and arriving at the boat ramp on your left. For more information about seasonal hours and directions see the state park website. Recommendations: Bring a camera for some great views of Table Rock and Pinnacle Mountain. Note: There are two lakes in Table Rock State Park. Lake Pinnacle does not allow public boat access; however, they rent kayaks and canoes. Both kayaks and SUPs are permitted on Lake Oolenoy.